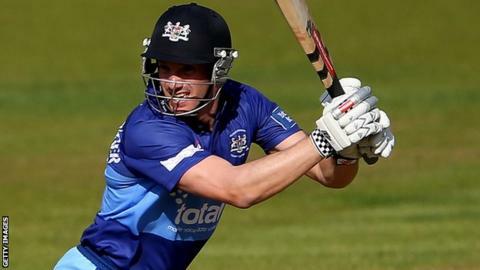 Gloucestershire batsman Michael Klinger has signed a new two-year contract with the club. The 35-year-old Australian, who has scored nearly 10,000 first-class runs, joined the county in 2013. Klinger will spend four months at Bristol next summer, and potentially the entire season in 2017. "It's very hard for me to jump ship when the guys are going so well and Bristol has become like a second home," he told BBC Radio Bristol. "We are on the right track, the signs are there that made me want to stay here and be part of some special times hopefully over the next couple of years." Klinger has made 1,429 runs for Gloucestershire this summer in all competitions, including seven centuries. He began the T20 Blast competition in particularly fine form with scores of 126 not out, 69 not out, 104 not out and 104 not out in their opening four games. "I'm delighted to be signing for another couple of years," said Klinger, who has also played for Australia A, Worcestershire, South Australia, Victoria and Western Australia during his career. "To see so much improvement in these boys, knowing I'll be part of that for the next couple of years is very exciting."